We are currently planning the 2010 conference. Please email any suggestions for speakers or musical acts to MusicLawConference@gmail.com. The Music Law Conference at The University of Florida Levin College of Law is hosting its 8th annual conference on February 27, 2010. The conference brings together musicians, lawyers, students, academics, policy makers and entertainment professionals for a weekend to network, learn, and share ideas. It is our goal that everyone, from the disgruntled ex-band member to the seasoned entertainment attorney, that attends the conference will leave with a new perspective on the music industry. The theme of last year's conference was "From the Suits to the Stage." We explored topics that every musician and future entertainment professional needs to know. Topics for this year will include: digital and retail markets, new forms of music distribution, international issues, ethical issues, protecting musicians' rights, understanding both sides of the table, the art of business, and basic D.I.Y. (Do-It-Yourself) ideas for new artists. The Conference is scheduled for Feb. 27, 2010 (Saturday) at the Chesterfield Smith Ceremonial Classroom at the University Levin College of Law. The conference and panel discussions, which will examine the music business, will take place from 9 a.m. to 6 p.m. The live music showcase will be on the evening of Feb. 27, 2010 from 9pm to 1:30am at a local music venue. Directions to get to the Levin College of Law from West 13th Street (SR 441): Go west approximately 2 miles on SR-26 (University Avenue). Turn left on Southwest Second Avenue. Continue to Southwest 25th Street. The law school is located at Southwest Second Avenue and 25th Street. There is a registration fee required to attend the conference, but the panel discussions are free for all current UF students and faculty with a valid university ID. Seating is limited, so register early! For more information about the conference please e-mail MusicLawConference@gmail.com. 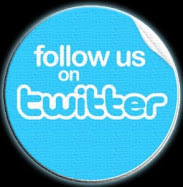 Visit our blog at musiclawconference.blogspot.com. With the year wrapping up, I thought it only appropriate to compile a list of law review articles published this year that might be relevant to hip-hop scholars, with SSRN links where I could find them. This list probably is not exclusive, so feel free to add articles in the comments section. Here's to a successful 2010 to all the scholars hip-hop has touched. "Imagine crime and punishment in a hip-hop nation. Believe it or not, the culture provides a blueprint for the transformation of American criminal justice. Hip-hop leads us toward a system that would enhance public safety and treat all people with respect. Who would have thought that the most thuggish art could improve law and order? . . . .
Hip hop is obsessed with criminal justice. Its fashion actually began as a tribute to the loose baggy clothes that prison inmates wear. Thousands of hip-hop songs consider crime and punishment. They evaluate justice from the bottom up. No other form of pop culture does a better job at reminding Americans that we have the highest rate of incarceration in the world, and that communities can be destroyed by both crime and punishment." For Professor Butler's entire post, see the WashingtonPost.com. 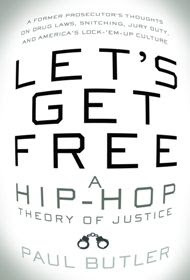 In guest blogging for the Post, Professor Butler is excerpting his groundbreaking new book "Let's Get Free: A Hip Hop Theory of Justice." The book is exceptional. Anyone interested in the transformative power of hip hop should get this book and read it carefully. Stay tuned for a comprehensive review of the book in coming weeks . . . .